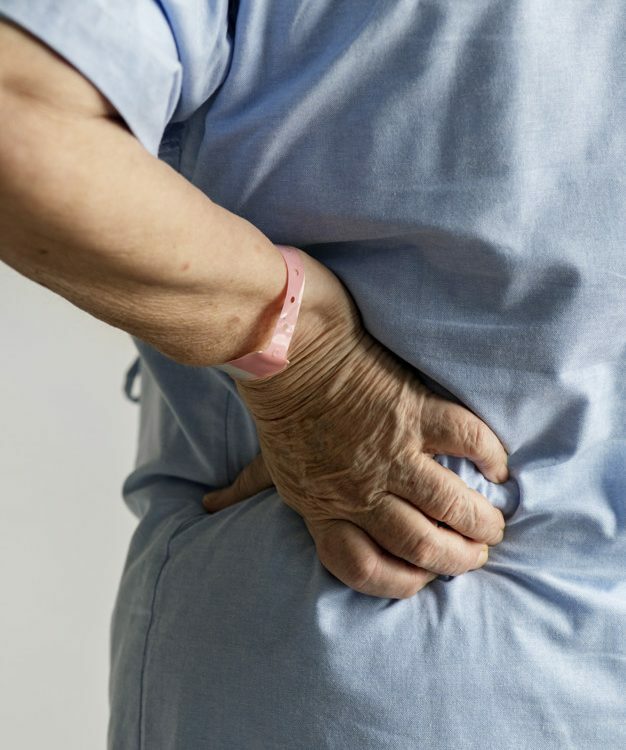 Whatever pain you are feeling, Andrew at Acupuncture Richmond will develop a treatment approach especially for you – not just to ease the pain now but also for the long-term. How? Through acupuncture, possibly Chinese herbs, and exercise and lifestyle advice. The focus? You getting better faster. What kind of pain do you have? 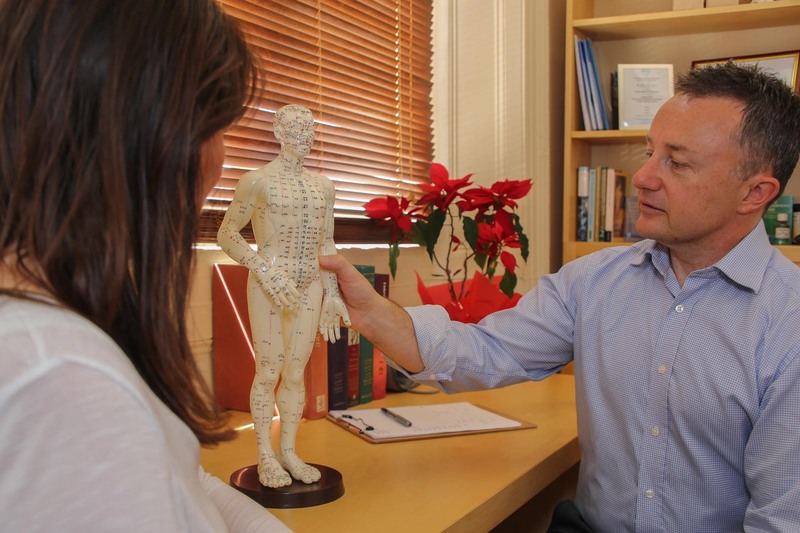 Andrew treats anything from muscular pain such as neck, lower back and jaw pain to migraines, sinus, digestive and period pain. 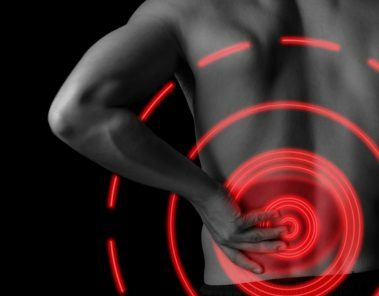 Andrew’s extensive experience means he has probably seen and treated your pain condition many times. 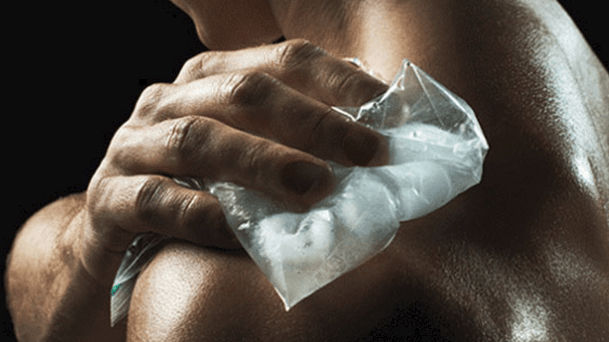 Andrew has been relieving pain (quickly and for the long-term) through his Richmond clinic for over 10 years. 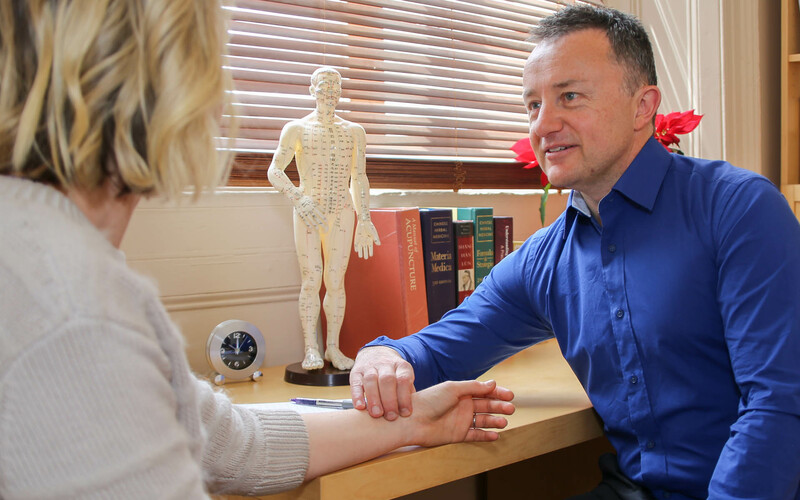 His experience means you will receive professional care and sound advice tailored to you – both for your body and for your life. This is a very natural concern when you are considering acupuncture for the first time. When most of us hear the word needle we think of the hypodermic needles that are used when injecting into the skin for vaccinations or into veins for blood tests. A standard hypodermic needle used for blood testing is an 18-guage needle which is 1.27 mm in diameter. Acupuncture needles are very different. Firstly they are so much thinner in diameter and secondly not hollow with a razor sharp cutting edge. Andrew uses a maximum diameter needle of 0.25 mm which is designed to glide smoothly into the skin tissue. 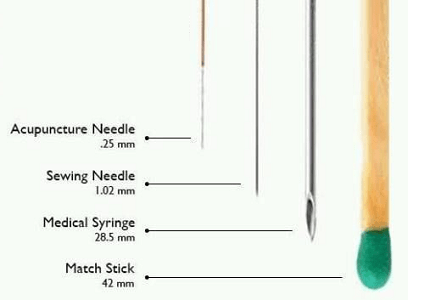 The photo illustrates that acupuncture needles are so much thinner than a hypodermic. Additionally they are inserted using Andrew’s well developed acupuncture technique making the insertion process almost sensationless.